Are you visiting our parish for the first time? Perhaps you've celebrated Mass with us before and are not connected with a parish. We are happy to have you here with us. 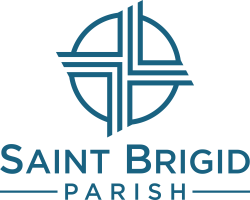 If you are looking for a parish home St. B's might be the place. Can we help you find fellowship and grow in relationship with God? Do you want to help others through one of our many service opportunities? Are you in need of emotional or spiritual support? Fill out the interest form or contact Maryanne to find out more.